When I plug my lead into my windows7 laptop, it registers on com3, no problem. I do wonder if my netbook is part of the problem. Windows 7 Device Manager doesn't show any COM ports, and the OBD won't allow some of the diagnostics because it says no COM ports are found. Yet the basic test software says it's connected to COM 4. Maybe I should be asking on a computer forum! Yes, Ports (COM and LPT) shows up in Device Manager when I plug it in, COM 3, 4 or 5 depending which USB port I use. So it looks as though some of the software for that lead may be faulty rather than the computer. I finally got TurboTom's recommended lead (the postman delivered it to the wrong address so it took a while to get my hands on it). It works a treat and Tiger now has nicely balanced throttle bodies. By the way, the Haynes manual says the vacuum pipe to the MAP sensor doesn't need to be connected, but there was no reading on Tiger Tool TBal with it disconnected. Thank you T800XC and TurboTom! where can i get tigertool? If you've just joined the forum after following a link to TigerTool from another forum then the link is most likely to an out of date version which has been removed. Search is your friend to find the latest version....Oh and pop over to the new member section and introduce yourself. It's just etiquette. although if Windows can't find a suitable driver I'd look at the driver chip manufacturer's website for one. The CDs go straight in the bin! In my case, that's exactly what happened. 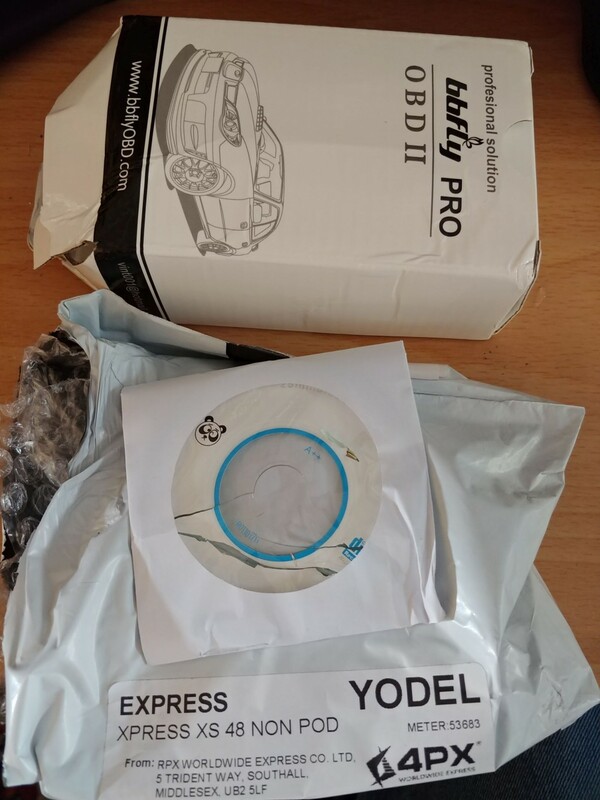 Got a bbFLy lead from AliExpress for £11-50 (saved me a whole £4), and Yodel delivered it today (left it in a "safe place", on my front doorstep). You may be able to see why the CD went straight in the bin. The lead worked fine with TigerTool under Windows 10, BTW. https://www.aliexpress.com/item/bbfly-ELM327-USB-V1-5-FTDI-Chip-OBD-Auto-Diagnostic-Scanner-OBD2/32790694240.html for any other people who'd like to save a bit of money and aren't in a terrible hurry. Got a bbFLy lead from AliExpress for £11-50 (saved me a whole £4), and Yodel delivered it today (left it in a "safe place", on my front doorstep). I had one of those on my Amazon wish list for ages, but it was nearly £9.50 more expensive. I can wait for Aliexpress to deliver - in no particular hurry. From tony-the-tiger: What's involved in testing/analyzing the ecu? Will Dealertool do it? What's involved in removing and sending to the manufacturer (Or Triumph) ? Dealer already replaced sensors, spent much $$$ with no solution to my intermittent cold start/no start issue.